Stone Soup for Five: My Experiment with "I'm going to" vs "I did"
My Experiment with "I'm going to" vs "I did"
Somewhere I read or heard a little blurb about "I'm going to" vs. "I did". I don't remember where I picked it up, but it stuck in my head. The idea was that when you have an idea, or project, or goal, and you announce it to people in your world, you get a little burst of adrenaline, sometimes the same kind of burst that you would get from finishing the project. And, because of that little boost, a lot of people never make it to finishing their idea, project, or goal. Since I'm a notorious list maker, planner, idea kind of person, and I usually do talk things through (either in my head or with others) A LOT before I finally go on it, I thought I would do an experiment and see how it worked. Me: "Hey! 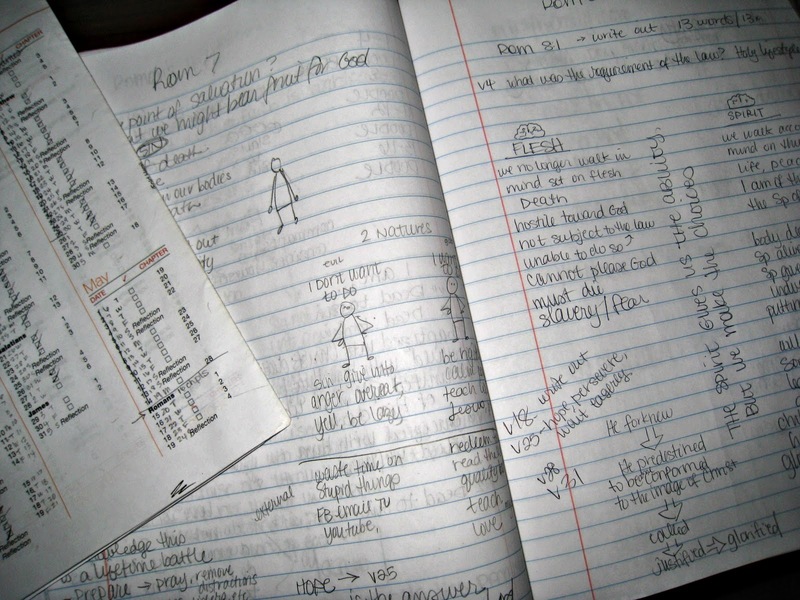 I have this super cool idea, that might work, and might be amazing and I have this great plan, and a list and a goal and a deadline and it will be SO awesome and I am starting on it RIGHT. NOW!" People in my life: "Wow. Sounds ambitious!" Then I'm feeling all excited and shaky and big-eyed and stars and hearts and rainbows. Then, a week, or day, or hour later, when the HARD hits, I'm so over it. Sometimes I can push through, but usually it's dry and dead and the rush is gone. So, this time I did it the opposite way. 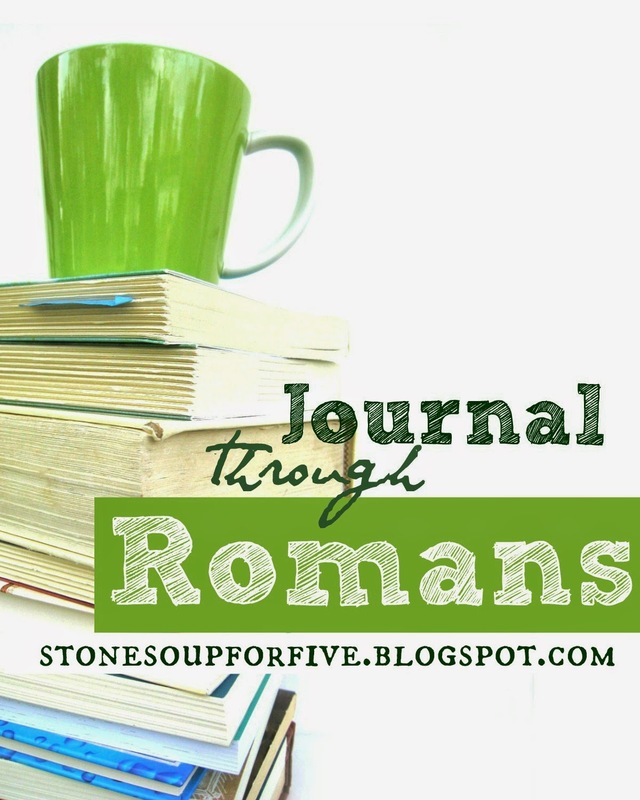 My project was the little eBook on Journaling through Romans. I told no one (well, okay, I did mention working on it to a couple people who would be directly involved, but that's it). I had to push myself on. I had no one asking how it was going. Just me, getting to work, quietly, day in and day out. It was especially hard when I would hit a milestone (layout of book roughed out!! Halfway through the book!! Cover photo made!!) and have no one to share with. I would settle for that little swell of happiness inside, then get back to work. It was like keeping a great surprise from someone you care about. You are walking around smiling on the inside ALL. THE. TIME. There's no stress of what people are thinking. No time wasted giving updates or making excuses. It's just you and your project and your hustle. THEN, you get to announce and share YOUR. FINISHED. PROJECT. And the feeling and excitement and puffy hearts and rainbows are all a thousand times magnified! This probably isn't the best way to do every project. And for future ones, I won't always do it this way. But I thought it was a pretty interesting experiment to try out.